Adhesive made for acrylic dentures. 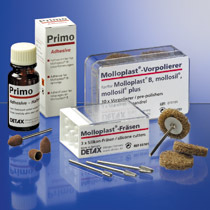 Increases and ensures the bonding of MOLLOPLAST-B to the denture base. 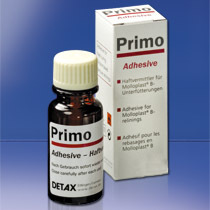 Especially suitable for repeated repairs, extensions and relinings of acrylates. Application by means of the integrated brush.